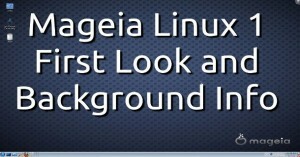 Linux Kernel 3.0 Approaching! 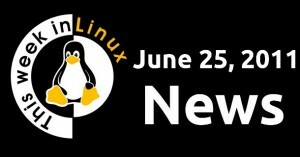 Ubuntu Removes Synaptic! Fedora 16 Goes Btrfs? AIR on Linux Dead? It’s been SUCH a long time since I’ve done this, so please bear with me. Thanks again to all of you who have supported me during the hardships over the last month. Click “Read More” to view this week’s news video! Check out my photos from the weekend at http://www.flickr.com/photos/jkeyes0/ SELF info at http://southeastlinuxfest.org Natus info at http://natusproject.com Click “Read More” to see the video recap. My first impression? It’s broken. My reaction to that? It’s an alpha, so that’s to be expected. Nowhere to go but up from here. Click “Read More” to see the video! 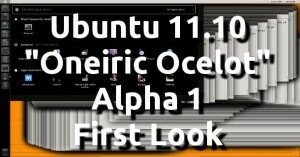 Fedora 15 and Linux Mint 11 Released! Firefox 5 Beta, HTC Unlocks Bootloaders! Minecraft on Android? Lots and lots of awesome news this week! Must say though, we almost didn’t have this video. Technical issues just kept cropping up… Click “Read More” to check out the video and the links to the stories mentioned, or head over to the YouTube Channel to watch it on YouTube.